Hideout is an electronic music festival on Zrće beach in Croatia. Taking over some of Novalja’s best clubs, such as Papaya, the festival has become one of Europe’s number one beach festivals. Setting up for five days and nights of full-throttle partying, inside clubs, on beaches and on boats, Hideout’s dance-centric lineup stretches from house and techno through to grime, D&B and garage. 2018’s edition will see sets from Chase & Status, Andy C, AJ Tracey and Bicep. 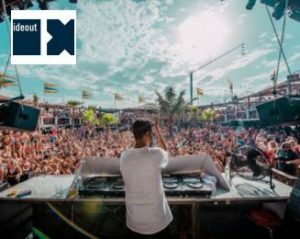 The perfect summer getaway for party-goers, days at Hideout are spent relaxing on the beaches, surfing the waves, or hitting up one of the many pool or boat parties. Nights, well, that’s when the real festival comes alive, buzzing all the way till sunrise.